How It’s New York: Martin Hayes of The Teetotallers lives part of the time in Connecticut, and Chicago Reel will be a featured band at Catskills Irish Arts Week this summer. Made your reservations yet? The week is July 15 – 21, and coming up soon! How It’s Irish: The Teetotallers are an Irish “Supergroup,” and Chicago Reel’s first album provides Irish trad in the Chicago tradition. The band is led by Pauline Conneely. Teetotalers are ‘very Clare and very melodic’, says Irish Echo’s Dan Neely! Irish Echo, May 23 2012. Hide your Barry’s, ladies and gentlemen, The Teetotallers, “a sensational new trio in Irish traditional music,” has hit our eastern shores! With a lineup that consists of three superstars in Martin Hayes (Dennis Cahill, The Gloaming, Masters of Tradition), Kevin Crawford (Lúnasa) and John Doyle (Joan Baez, Solas, Liz Carroll, Green Fields of America), The Teetotallers are about to become the talk of the U.S. 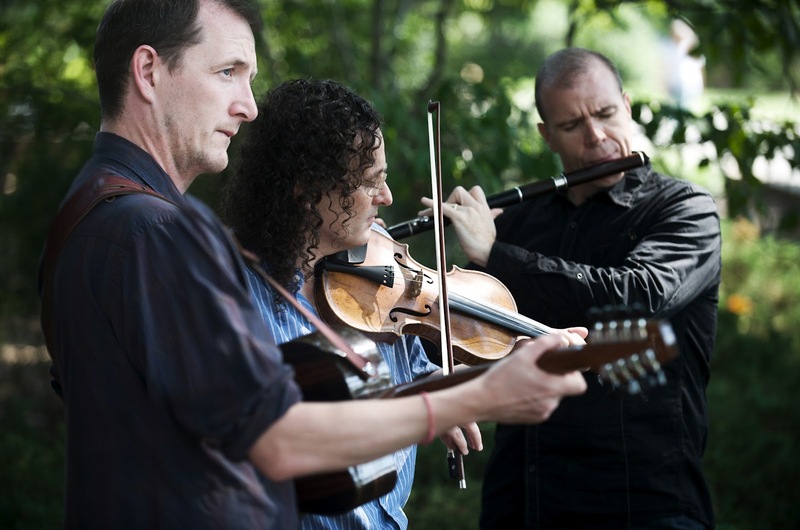 The first time Hayes, Crawford and Doyle played together was at the Sebastopol Celtic Festival in California in 2010, thrown together onstage in haphazard fashion and saddled with the “Teetotaler” mantle. A somewhat inauspicious start, yes, but things seemed to click right away. The music they made was magisterial. They got along personally. From there, a tour seemed like a logical next step. “It’s the kind of side project that doesn’t happen very often and it’s been great for all involved,” Doyle told me. They will be at Stratford Theater, Stratford CT, tonight, and at Joe’s Pub, NYC, tomorrow! The tour is supported in part by Culture Ireland. The group also has plans to make an album, which will happen once schedules permit – stay tuned! While you’re waiting on The Teetotallers debut, you’ll want to check out Chicago Reel’s eponymous debut. It’s a crisp, tightly executed affair with powerful drive and a lovely lift, and it will bring a smile to the face of anyone who loves traditional music. You can definitely hear this sentiment on “The Haymaker/Devaney’s Goat/Paddy’s Gone to France,” a set of old standard reels the group breathes lovely life into. On the other hand, “Are You Joanie Madden?/Liam Childs,” a pair of slip jigs composed by Liz Carroll, reveals a more contemporary taste. Finally, a track like “The Killimor/For the Love of Music,” showcases the group’s smart arranging and nuanced ensemble work. The album also features O’Sullivan, a three time All-Ireland singing champion who Irish American News named top Male vocalist for 2011, on four tracks. While “Lakes of Pontchartrain” and “Bright Blue Rose” are crowd pleasers and done exceptionally well, the powerfully delivered “Ballyseedy Cross” stands out as one of the album’s great highlights. 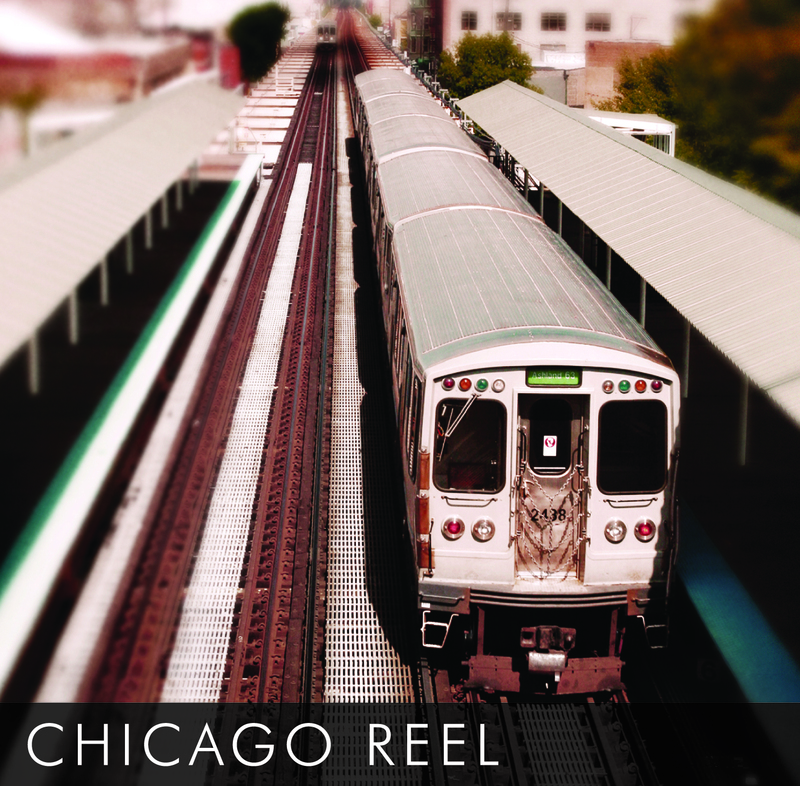 Chicago Reel plays regularly throughout the greater Chicago area, and will be a featured at the Catskills Irish Arts Week in July.